A snow angel is a human-made depression formed in an area of snow in the shape of an angel Making snow angels is a common childhood game. 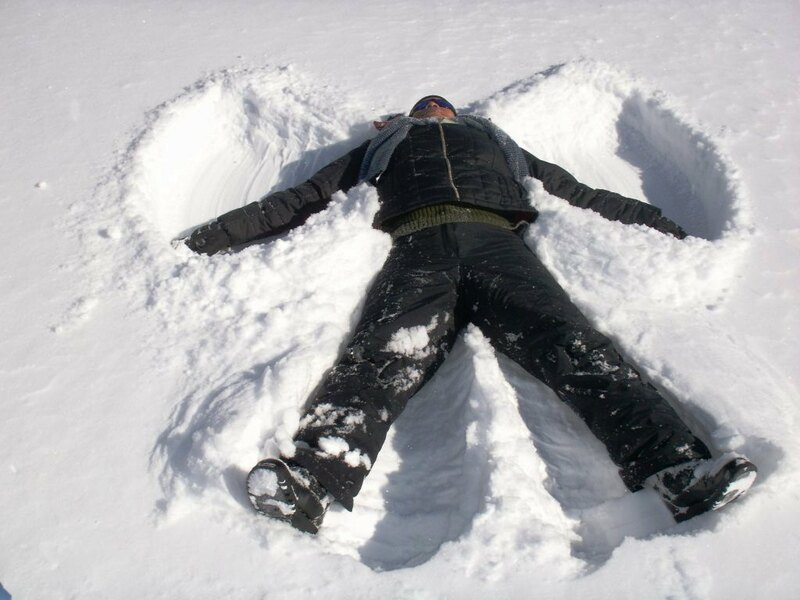 Making a snow angel is a very simple to do. The first step is to find an undisturbed patch of snow. The next step is to lie flat-out face, spread-eagled in the middle of the snow. Then sweep your limbs back and forth, creating a trough through the snow. 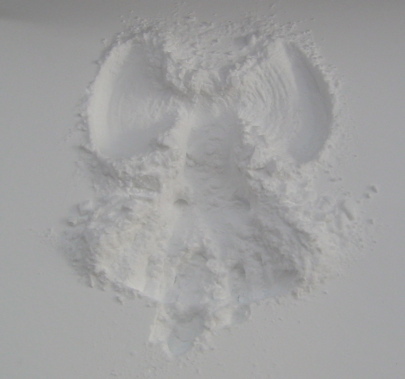 When it’s finished, the snow angel should have the appearance of an angel, the movement of the arms having formed wings, and that of the legs having formed a gown. A separate record for the Most Snow Angels made in simultaneously in multiple venues. is also documented by Guinness World Records. The current record was set on February 2, 2004 by staff, students and community members of the London District Catholic School Board in London, Ontario.